It’s official. Krister’s a doctor! 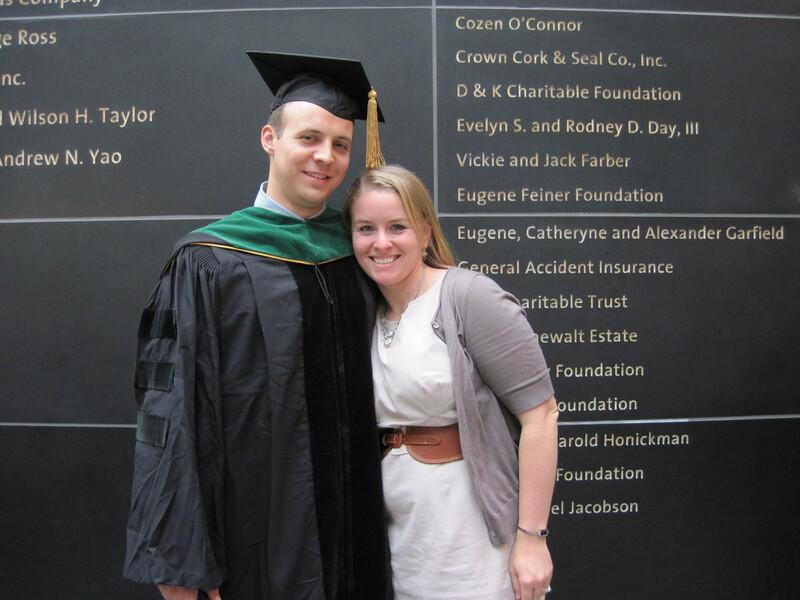 After 4 years (not including his Masters in Medical Science), Krister received his M.D. on May 21st. In a beautiful ceremony at the Kimmel Center, Krister’s parents, sister, wife & mother-in-law watched proudly as Krister crossed the stage. Dr. Hanau, Krister’s pathology pathway adviser, hooded him. Following the ceremony, the family enjoyed a fabulous lunch at XIX (“Nineteen”). Shortly before the ceremony, Krister was also the recipient of a pathology award. The award recognized his achieving the highest final grade in pathology of all the students in his class. Dr. Hanau also presented Krister with his pathology award. For those of you looking for the video of Krister’s graduation, it turns out we don’t have access rights to upload a video. The video is posted on Facebook (or feel free to email Kristin or Krister directly for a copy).